Can't Afford an Olympic Running Coach? "Hire" a Polar M430 Instead! Can’t Afford an Olympic Running Coach? “Hire” a Polar M430 Instead! One would expect the head of a company to wax poetic about a new product after a long development period, but internal reaction to the introduction of Polar’s M430 running watch took a back seat when an Olympic athlete became part of the introductory process. American Olympic runner and record holder Molly Huddle needed no convincing to join the Polar team from the moment she strapped on the Polar M430 wrist device and took it for a test run. That's all it took to convince her that this was no ordinary product, which is likely why she believes that at the very heart of this gear is Polar's "passion for making data understandable to everyone." If an Olympian who admits she's not necessarily a technophile can sing the praises of a product as complex as is the new M430, other runners can relax, knowing they won't have to wander through tech speak either. This device is not only attractive and sturdy, but you won't need an advanced degree in engineering to learn how to use it properly. "I recently joined Polar's team of endurance athletes," says Olympian Huddle, "and what immediately drew me in was consistent and reliable running data." Sure, her coaches train her and analyse her every move, but as she says succinctly, when it comes to coaches, “Most runners don't have this luxury.” For ordinary runners, wearing an M430 could mean the difference between just finishing and personal bests. In place of a human trainer, the Polar M430 substitutes in ways that delight owners from the moment they begin exploring proprietary functions. The device won't prepare a power shake, but otherwise, features and benefits runners enjoy is a perfectly understandable mix of user-friendly functions and cutting-edge technology. Wrist-controlled optical heart rate monitoring (with 6-LEDs) is state-of-the art and precise, so wearers never need doubt readings. Run in the rain, snow and at extreme temperatures; the M430 is fully weatherproof for runners who don’t let bad weather stop them from their conditioning runs. The design and wristband are lightweight, comfortable and sturdy—ready to stand the test of time. Smart Coaching features are unprecedented: data is so accurate and so rapidly delivered, runners receive it in real time so adjusting their pace on the fly is easy. 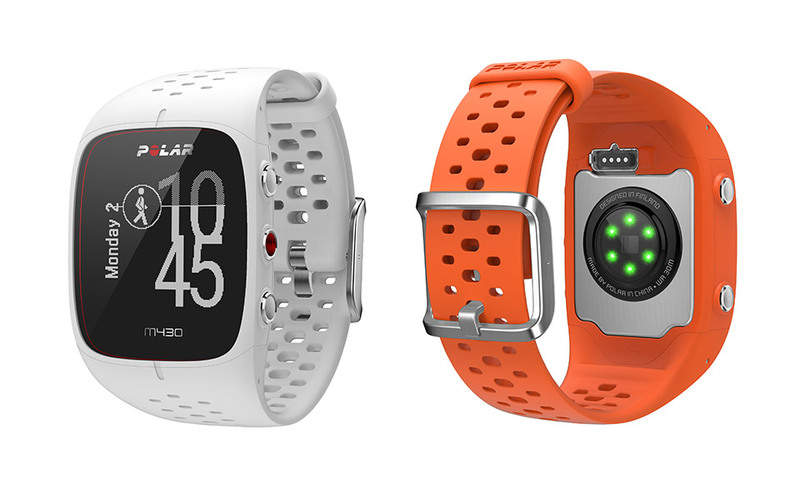 Integrated GPS features plus core running metrics help wearers focus on their personal fitness plans. Track your distance. Assess your body's response to exercise. Monitor your recovery rate and sleep patterns. Stay in synch with the Polar M430 by responding to vibrations that alert you to change-up, slow down or otherwise adjust your run. Also read: What Should Be In a Runner's First Aid Kit? Is the Polar M430 for everyone? In fact, it is. Especially if your aspirations to reach the top of your performance pinnacle remain as resolute as your regular conditioning run. Sure, he's biased, but Marco Suvilaakso, Chief Strategy Officer at Polar, has a reputation to uphold that wouldn’t last very long if his performance prognostications were full of hot air. 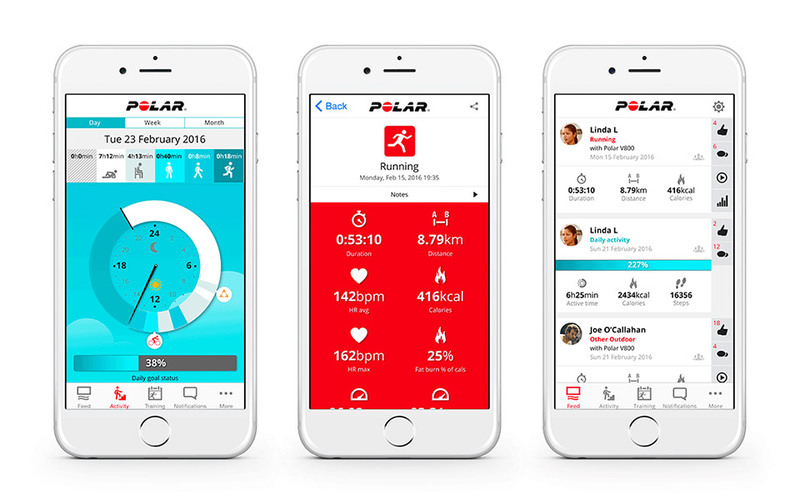 "In the growing market of running products that can track heart rate, pace and several other performance metrics, Polar M430 stands out for two major reasons," Suvilaakso explains. The first is the company’s 40-year-old reputation for excellence; the second is that Polar always uses the most accurate technology on the planet. 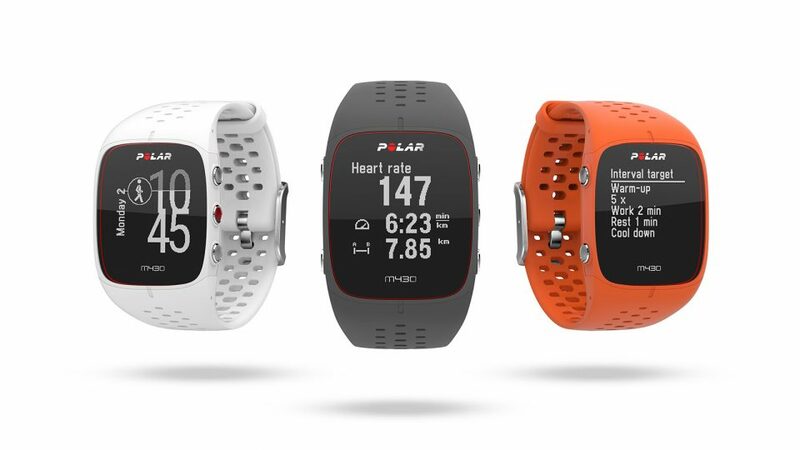 Is the Polar M430 available for purchase everywhere runners look? Hardly. Limited supplies are being introduced at S$359, and to limit distribution, this revolutionary new running aid is only available from the manufacturer, so don't expect to see it on store shelves any time soon. Get used to the M430 turning your algorithms into actionable running data without lifting a finger. Enjoy personalised feedback as you follow your adaptive training plan, making adjustments if needed. Receive live guidance and 30 hours of battery life so your flow of instruction isn't interrupted. Expect the M430 to manage your training history by keeping tabs on all aspects of your activity level. Upload daily training plans that recommend interval guidance while factoring in heart rate zones. Tap strength and core training videos via the Polar Flow app to streamline your workout. Take advantage of Smart Coach's Running Index and the Fitness Test that assesses your progress. Interface your watch with Polar Balance to add holistic weight management and guidance features. Expect so much feedback from your M430, there may be times you wish it would just take a nap! Given the limited number of dark grey, white and orange Polar M430 units being released during the month of May, waiting to order yours directly from the manufacturer doesn't make sense. Those who want to be seen as runners who spare no time or expense to achieve their goals deserve this exciting new product. When you order, mention the fact that Molly Huddle inspired you to join the elite world of athletes wearing this remarkable new Polar M430. Just don't be surprised if you find yourself saying, "How did I manage my fitness programme before now?" 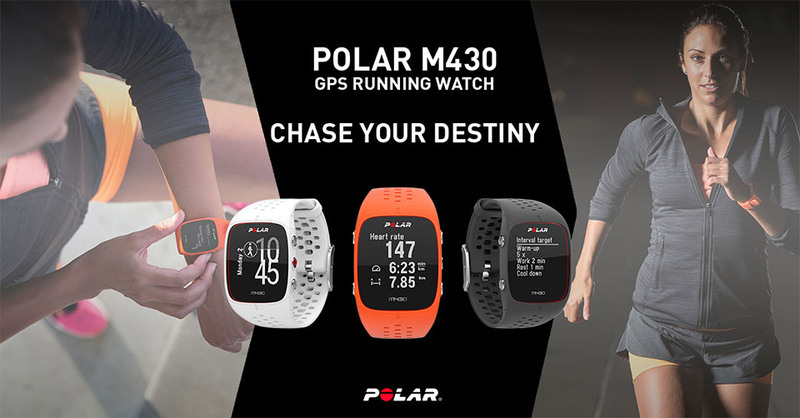 You can pre-order your Polar M430 GPS running watch at S$359 today. Deliveries for pre-orders will begin in June 2017.